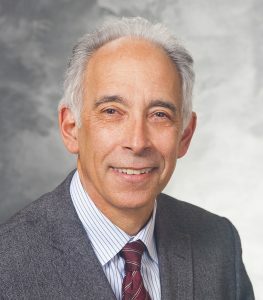 Ned H. Kalin, MD, is Hedberg Professor and Chairman of the Department of Psychiatry at the University of Wisconsin School of Medicine and Public Health. He is the Editor in Chief of the American Journal of Psychiatry, the premier scientific journal of the American Psychiatric Association. Dr. Kalin is the Director of the HealthEmotions Research Institute and the Lane Neuroimaging Laboratory, a Professor in the Department of Psychology at the University of Wisconsin, and an affiliate scientist at the Wisconsin Regional Primate Center and the Harlow Primate Laboratory. He serves as the principal investigator for several ongoing NIH funded research projects and has published over 200 peer-reviewed journal articles related to the adaptive and maladaptive expression of emotion and anxiety. His research focuses on uncovering basic mechanisms that relate stress to the development of psychopathology and to understanding the mechanisms that cause some children to be vulnerable for the development of anxiety and depression. In addition to his research activities, he treats patients who suffer from anxiety and depression who are refractory to standard treatment. Dr. Kalin earned his medical degree from Jefferson Medical School in Philadelphia, Pennsylvania, did his residency in the Department of Psychiatry at the University of Wisconsin, and a fellowship in Neuropsychopharmacology at the National Institute of Mental Health. Dr. Kalin is board certified by the American Board of Psychiatry and Neurology. He is a fellow of the American College of Neuropsychopharmacology and the American College of Psychiatry. He has been recognized for numerous awards including the 1985 A.E. Bennett Award for basic science research in biological psychiatry, the 2005 Edward A. Strecker Award, the 2007 American College of Psychiatrists Award for research in mood disorders, the 2007 Gerald Klerman Senior Investigator Award, and the 2015 Anna-Monika Prize of the European College of Neuropsychopharmacology. In 2013 he was inducted as a Fellow in the American Association for the Advancement of Science, and in 2015 he was elected as a member of the National Academy of Medicine. In 2017, Dr. Kalin was inducted as a Distinguished Life Fellow of the American Psychiatric Association, and was appointed to the Editorial Board, Journal of Psychiatric Research. He has served as President of the International Society of Psychoneuroendocrinology, and as a member of the National Advisory Mental Health Council. He is Co-Editor for the international journal, Psychoneuroendocrinology. He lectures regularly at national and international meetings.